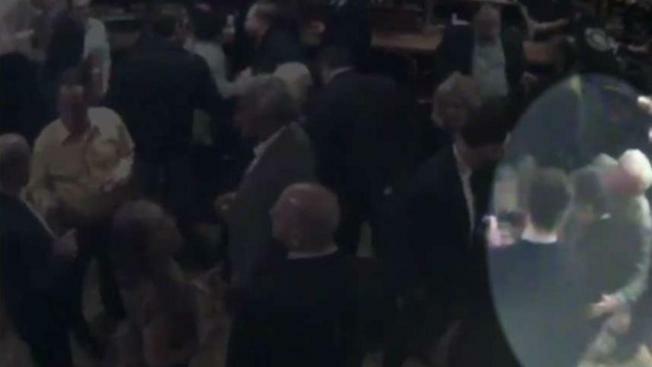 A Maryland lawmaker and a lobbyist both say video from inside an Annapolis restaurant proves their side of an allegation of inappropriate touching. State Sen. Cheryl Kagan says the video from Castlebay Irish Pub proves lobbyist Gil Genn inappropriately touched her March 1. Genn says the video proves the opposite. She said she got the video Monday night. Genn released a statement saying the video vindicates him and he did not inappropriately touch Kagan. Kagan said she's heard from six or seven other women who shared with her their allegations against Genn. News4 has not been contacted by any other accusers and has not independently verified Kagan's claims. A lawyer for Genn said Kagan’s allegations are outrageous, actionable and untrue.